Sculptor, painter, draughtsman and printmaker, Alberto Giacometti is one of the great artists of the twentieth century. To coincide with Tate Modern’s Giacometti exhibition, we look at eight top things to know about the artist and his varied career. 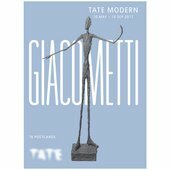 Giacometti is on at Tate Modern 10 May – 10 September 2017. Swiss artist Alberto Giacometti was awarded the grand prize for sculpture at the 1962 Venice Biennale, bringing him worldwide fame. 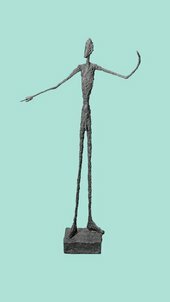 In 2010, Giacometti’s life-sized bronze sculpture of a man, L'Homme qui marche I became one of the most expensive sculptures to ever be sold at auction. The same work currently appears on the 100 Swiss Franc banknote. A tribute to the radical artist. 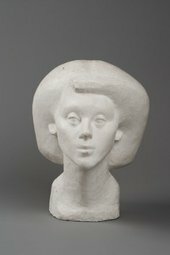 In 1931, Giacometti began to participate in some of André Breton’s surrealist group’s activities in Paris. 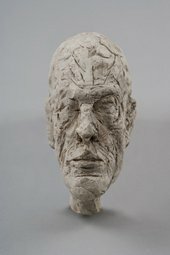 Although he was later expelled from the movement due to his ’realistic’ works of models, Giacometti’s interest in surrealist forms and themes such as sexuality and trauma continued. Sculptures from the early 1930s which resemble toys or games invite the viewer to interact with the sculptures – a radical idea for the time. Born in 1901, Giacometti expressed an enthusiasm for art from an early age, creating his first oil painting aged just twelve. His father, Giovanni Giacometti was a successful post-Impressionist painter, his godfather Cuno Amiet was a Fauvist, while his brother Bruno went on to become an architect. His brother Diego was a designer and artist and Giacometti’s most important model as well as his assistant. Giovanni shared his passion for art and wood etchings with his son. 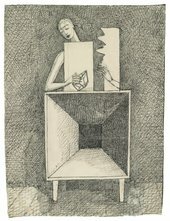 Throughout his artistic career, Alberto experimented with a variety of printing techniques, including etching, engraving, aquatint and lithography. 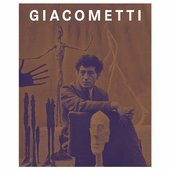 Although he also worked with painting and drawing and designed decorative objects, Giacometti is most famous for his sculptures, particularly his figures. 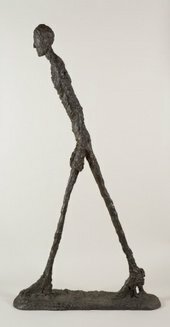 Following the Second World War, Giacometti returned to Paris from Geneva. He began to focus on elongated single figures, often walking or standing, as well as figural groupings in different spatial situations. 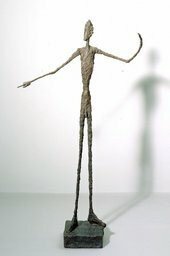 Giacometti’s unique vision whittled his subjects down to heavily worked but stick-thin figures. 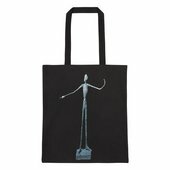 The image of a walking man preoccupied Giacometti for the rest of his career. 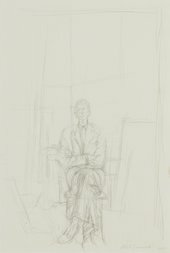 Despite this, Giacometti continued to work from the same space for the rest of his career and hosted many cultural figures there, including philosopher Jean-Paul Sartre, novelist Samuel Beckett, artist Henri Matisse and actress Marlene Dietrich. Alberto’s experimentations were determined by the distance from which he looked at his subject. 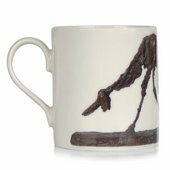 During the 1930s, Giacometti produced decorative objects as a means of earning a living: lamps, vases, jewellery and wall reliefs. He collaborated with well-known interior designer Jean Michel Frank and was supported by his brother Diego, who was to become a designer of his own furniture pieces and sculptures later.